08.08. – 11.08 in Piiumetsa, Estonia – KMG Estonia summercamp. Special theme – selection of CQB (Close Quarters Battle) scenarios. Testing possibility on 11.08. Early bird price 299 EUR, regular 350 EUR. Transportation can be arranged from Tallinn. 18.10. – 27.10 in Tallinn – Military Instructor Course (MIC) with Special Forces additional approach. Open seminar possibility. 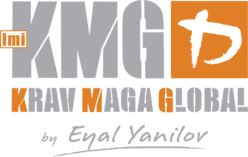 Ilya Dunsky (Expert 5) from KMG HQ.